Anyone who’s lived in Florida knows that we go through a “state of emergency” from time to time, either due to heavy rains, tropical storms, hurricanes, or other natural disasters. When there are events which give rise to property damage, this will inevitably lead to insurance disputes, as upkeep and welfare issues arise with respect to all of the various types of damage these disasters can bring. With the number of condominiums and homeowners associations on the rise in the Sunshine State, inevitably, questions come up concerning whose responsibility it is to ensure that property and people are protected when these disasters occur. In that respect, it can be helpful for association boards to make it clear to residents, beforehand, what their responsibilities are with respect to their authority under the law. Homeowners and condominium associations are provided with a certain amount of powers and protections under Florida laws. For example, under the Florida Condominium Act, the board of administration—in response to damage caused by an event for which a state of emergency is declared—may partake in activities necessary to protect the health, safety, and welfare of the association and mitigate any further damage, such as conduct board meetings, name assistant officers, enter into agreements with local counties and municipalities and/or contracts for items or services, implement a disaster plan, require evacuation, and engage in other necessary activities to protect the property and its residents. The association also has the irrevocable right of access to each unit during reasonable hours if this is necessary for the maintenance, repair, or replacement of any common elements or any portion of the unit which needs to be maintained by the association in order to prevent damage to the common elements or a unit. protesting ad valorem taxes on commonly used facilities. The entity responsible for the operation of common areas may also adopt reasonable rules and regulations pertaining to the use of these areas and any recreational facilities within them. 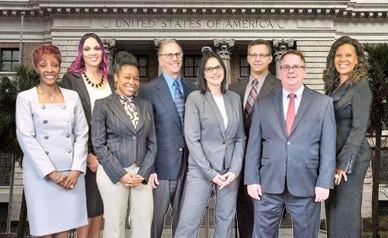 The Tampa & Orlando homeowners’ and condominium association attorneys at HD Law Partners provide knowledgeable, experienced legal representation you can count on, while ensuring that you receive the professional legal services you deserve. 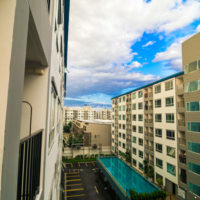 Whether it is overseeing the everyday maintenance and contracts for a particular property or group of properties, or working to resolve a dispute and ensure that a homeowners or condo association is protected, we are here to work for you. Contact us today.